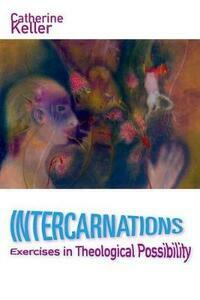 Intercarnations is an outstanding collection of provocative, elegantly written essays-many available in print for the first time-by renowned theologian Catherine Keller. Affirmations of body, flesh, and matter pervade current theology and inevitably echo with the doctrine of the incarnation. Yet, in practice, materialism remains contested ground-between Marxist and capitalist, reductive and postmodern iterations. Current theological explorations of our material ecologies cannot elude the tug or drag of the doctrine of "the incarnation." But what if we were to redistribute, rather than repress, that singular body? Might we free it-along with the bodies in which it is boundlessly entangled-from a troubling history of Christian exceptionalism? In these immensely significant, highly original essays, theologian Catherine Keller proposes to liberate the notion of the divine made flesh from the exclusivity of orthodox Christian theology's Jesus of Nazareth. Throughout eleven scintillating essays, she attends to bodies diversely religious, irreligious, social, animal, female, queer, cosmopolitan, and cosmic, highlighting the intermittencies and interdependencies of intra-world relations. According to Keller, when God is cast on the waters of a polydoxical indeterminacy, s/he/it returns manifold. For the many for whom theos has become impossible, Intercarnations exercises new theological possibilities through the diffraction of contextually diverse multiplicities. 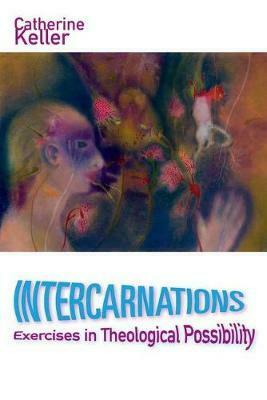 A groundbreaking work that pulls together a wide range of intersecting topics and methodologies, Intercarnations enriches and challenges current theological thinking. The essays reach back into feminist, process, and postcolonial discourses, and further back into messianic and mystical potentialities. They reach out into Asian as well as inter-Abrahamic comparison and forward toward a political theology of the Earth, queerly entangling climate catastrophe in materializations resistant to every economic, social, and anthropic exceptionalism. According to Keller, Intercarnations offers itself as a transient trope for the mattering of our entangled difference, meaning to stir up practices of a better planetarity. In Intercarnations, with Catherine Keller as their erudite guide, readers gain access to new worlds of theological possibility and perception.